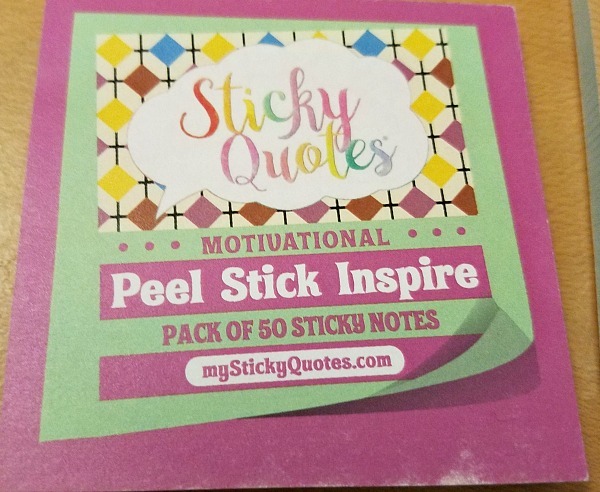 Sticky Quotes are sticky notes that have messages on them. Everyone needs a little motivation every now and then. We need to feel inspired. I know I do. It's back to school season and kids of all ages are heading back to the daily grind. Some kids love school, some kids do not. My son tells me he doesn't like it but will tell his teachers that he does like it. 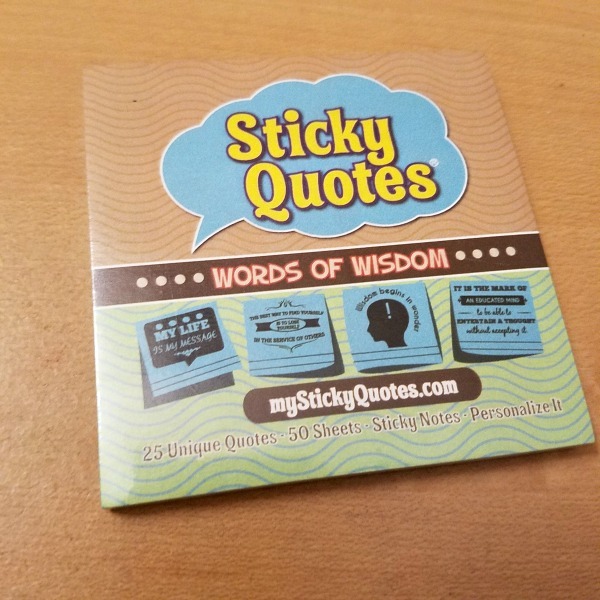 I think these Sticky Quotes are great to leave around the home. You can even put them in your kids lunch box. These are also nice for adults. Maybe they are having a hard work week or lack of motivation. Maybe they don't really like their job. A note of encouragement is very helpful. You get free shipping on all orders. A single set comes with 3 pads. They also come in bigger bundles. 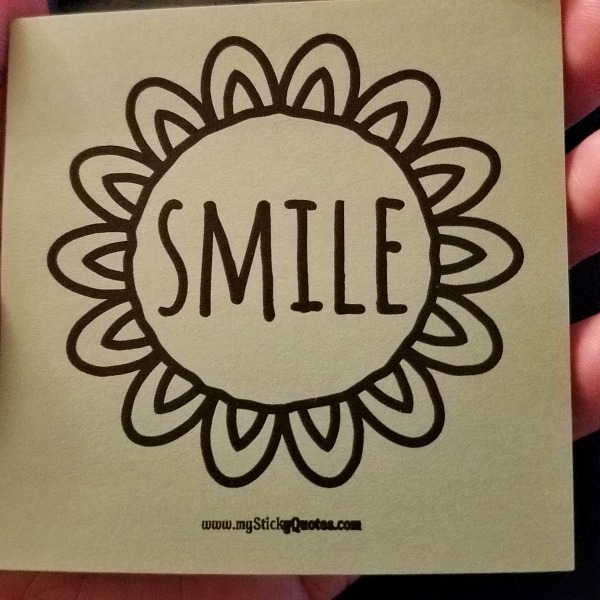 Something as simple as "smile" is a good one for a lunch box or snack bag. I think these are such a good idea. Where would you put your Sticky Quotes? These would be fun to have and use at the workplace, as a little uplifting motivation. I love sticky notes! I use them around the house all the time. I use sticky notes all the time! I'm headed over to check of the love letter sticky notes - how fun those will be! These would be really great to put in kids lunches or reminders for myself. I will have to look for these in the store. I would use these sticky notes in the kids' lunch boxes. What a cute idea! These are so adorable! I think they'd be perfect for including in cards and presents too! These are great! I'd put them on my kids doors, desktops, and the bathroom mirror for everyone! Yes please. I love sticky notes adn quotes so these were made for me. I am so getting me some of these.